Get serious! The award-winning game, Triple R Guest Central, helps Red Robin International, Inc. achieve its objectives: creating exceptional, customized experiences for its guests and helping servers feel better, do better, and earn more tips. 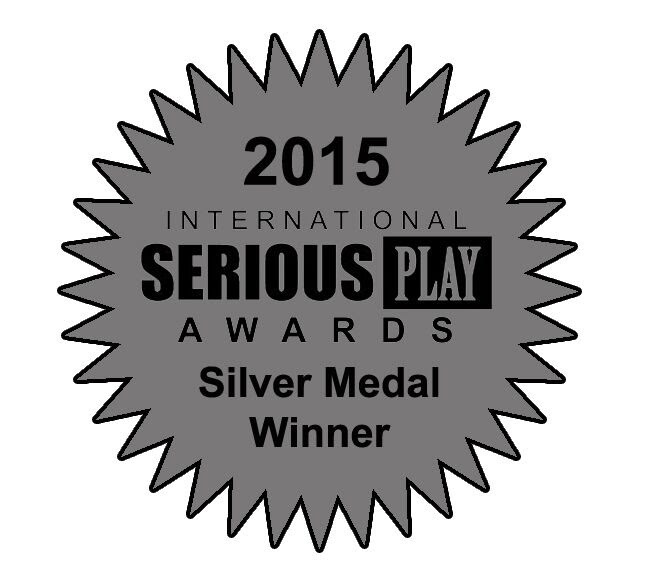 San Francisco, California, Thursday, July 2, 2015 – SweetRush and Red Robin took home the Silver Award, the top honor in the corporate category, at the Serious Play Awards sponsored by the Serious Games Association. Triple R Guest Central is an engaging, compelling, and fun iPad application that uses diverse, real-world scenarios to train servers on Red Robin’s approach to customer service. “Gamification is the buzz in the corporate world of Learning & Development and for good reason: When done right, it works and is highly effective. We use game aesthetics and mechanics to engage people, motivate action, and promote learning. Triple R Guest Central demonstrates a perfect merger of our instructional and gaming disciplines,” said Arturo Schwartzberg, SweetRush Co-founder and Chairman. Find out more about SweetRush’s approach to serious games, simulations and gamification at our website. The Serious Play Awards recognize outstanding examples of titles that deliver a high quality of engagement and learning opportunities for students, employees, or other education or training situations. The full list of winners can be found on the Serious Play Conference website.